We hope many of you will be able to join us next Monday for a very special Sports Day. There can be few schools lucky enough to have an Olympic medallist joining them as they compete in sport! 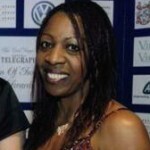 Jos Hoyte-Smith won her medal for the 4 x 100m relay at the Moscow Olympics. As a friend of Gerran Prescott and his family, she has agreed to come and share her experiences and talents. She is currently working with Team GB London 2012. A decision regarding sports day and cancellation due to weather will be made on Sunday by 5pm. This will be posted on the main school website. If you are unable to access the website we will also be sending a text message from parent mail.